David v. Goliath. USA v. USSR in Hockey. Petit Filet v. Porterhouse. Sometimes, the smaller things get the job done, give the larger competitor an upper cut to the nuts and the crowd goes crazy when it happens. And when it comes to cars, and car collections, you don't always need more size, more cubic inches or more dollar signs to be quite respected. Quite impressive. Quite the little, bitty thing that over-delivers. And things that over-deliver being in awfully short supply those that do just the opposite deserve to be sought out. And it is with that in mind that I present this $30k Collection of automotive Dustin Pedroias. 2002-2003 Focus SVT. This will take about $10K - $12K. I got to drive a couple of these when I worked as a copywriter at JWT on the Ford account. The base Focus was and is a fun car to drive. But when the boys from Ford's SVT group got bored of adding too much horsepower to the old fashioned Mustang chassis that finally made a proper, modern sports car. With 170 HP, uprated suspension and about 140lb-ft of torque available from a low 2200 RPM the Focus is a great everyday sleeper. The interior is modern and sporty. The looks, not too boy racer. If I was to buy one I would remove the SVT badges and surprise everyone with its excellent point and squirt ability. Overall this is one of Ford's finest products and one I hope to see more of in the future now that SUVs are proven to be as foolish as everyone knew them to be. 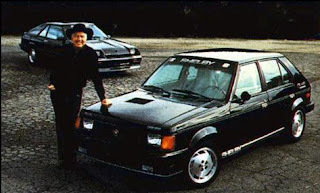 1986 Dodge Omni GLHS. Give this $5K and you will get a nice one. 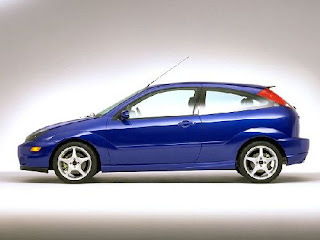 Ok, that Focus I was just writing about, well Dodge gave us a car that was its equal 16 years earlier. The Omni GLHS. And no other car has as good a name as this one. "But it is only a few letters" you say. But did you know the GLHS stood for 'Goes Like Hell Some'ore'? It does. And it did. 14.8 in the quarter mile. 130MPH top end. A stout bottom end that can stand mods and more boost for lots more power. 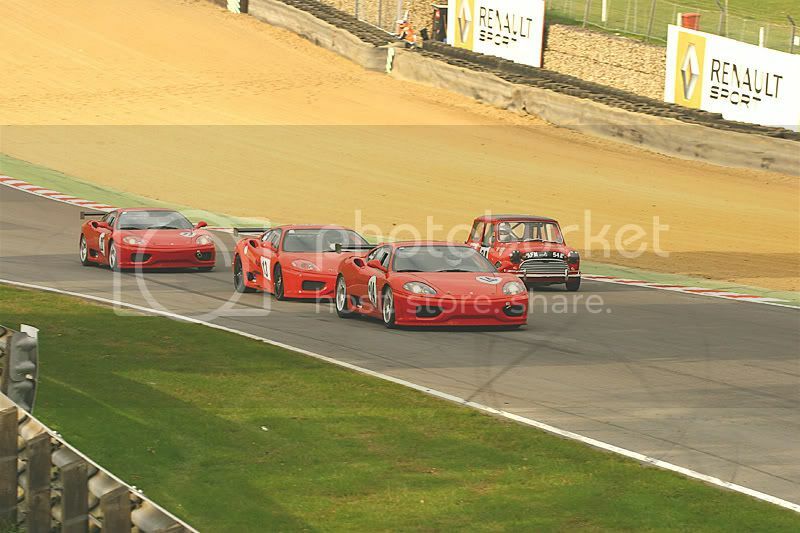 These cars will, and I repeat will, double in value in the next few years. Sure it will still only be $10k then but that is not the point. They are super under rated. Super rare. How's 500 made for rare, makes any Porsche seem like a fleet car. And its boxy looks are finally start to come back into style. Me likey. 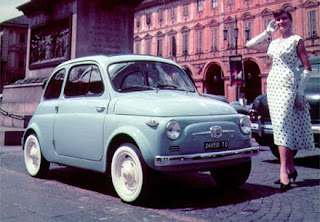 1957-1975 Fiat 500. $13K will get the one you want. The Focus and the Omni are actually quick cars able to thrill in any fashion. 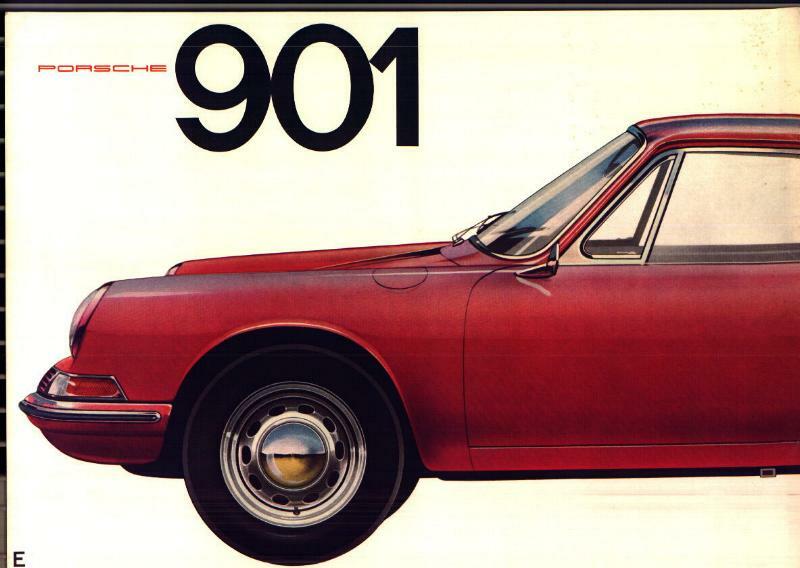 The Fiat is one of those cars whose numbers should not be looked at. 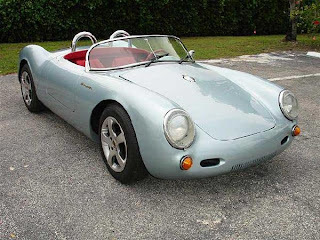 It is the sound, the tiny wheels and the pure connection to the mechanicals that create a sensation of speed that in most situations will be put a smile on your face to equal that of the owner of any other sports car. For $13K you can get a really nice rust free car. One with some Abarth mods. Maybe a 595 conversion. A straight exhaust. And of course, the propped up decklid that acts as cooler or spoiler. So, Nickie and I are on the way in our Porsche(the Boxster not the 911SC as no air)to my book signing in Minneapolis and we are 9 hours into a 13 hour drive. A bit past Omaha. Feeling tired. And down. We needed a pick me up. And that is exactly what we got in the form of this roadwarrior. Let us start with the helmet. 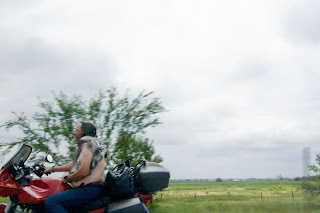 Now, Minnesota does not have a helmet law for all adults, but this guy thought he was going to be safe. So he rocks his skid lid Yarmulkes style. This won't do a very sound job of protecting his frontal lobe. Now the shirt. I agree, it can get sultry in July(remember, we took the Boxster not the 911 due to tha A/C) so go ahead cut the sleeves off your plaid shirt. That is OK. But to also crop it to the length of a preteen Hannah Montana shirt is a bit much. And this guy knows it so he is trying to keep the shirt down with his left hand. Let's hope he does not need to grab the clutch quickly. He is showing the ladies his manness though. And the touch of red boxer short is just as appealing as a flash of whaletail from a cougar. Finally, I would not tailgate this character as he has his black leather bag(notice I did not say gym bag as you don't have to be Poirot to know this man does not workout) unsecured. Yes, this little gem kept us laughing for miles and miles. I have not posted about ads in quite a long time, but feel forced to do so. Cars are soooooo much more interesting than most ad chatter. And after a day trying to create some great stuff I am often too tired to do anything but lose myself in a glossy auto mag. But after a business trip to Chicago, I do recco Primehouse for steak and fill your own donuts, I was driving home on Pena Blvd(a miserable stretch of well-patroled highway) and spotted a Sherwin Williams truck with the above logo. I had never thought of it before, but with the Greening of everthing, it did cross my mind that their logo is a bit, shall we say, politically incorrect. I thought so. So I went to the Sherwin Williams website where they have a green initiatives page. What was shocking was that at the bottom of the 'green initiatives' page was quick paragraph about how the logo is meant to show 'we protect the buildings of the world'. Yeah, but it looks like you are giving Mother Earth a bad dye job. And what was odder, was that there was no mention about how people have complained about the logo. It was just a defensive bit of copy under their own bit of green washing. Shame on you Sherwin Williams. Change your logo. Besides, no one will miss it as it is a** ugly. There is nothing quite like riding in a Corvette. What with its acres of hood stretching out in front and barely any material behind you it is the modern equivalent of a Roman chariot. And I think that macho, riding-into-battle aesthetic is what most owners like about the fiberglass cars from Bowling Green. And for $30k you can get a collection of these American originals. Unfortunately, they will be at the rear of the charge going into battle due to the lack of horsepower. But, the style will be all there so you’ll look plenty like a suntanned Charlton Heston. All of the below models can be bought well or bought poorly on an $8 - $10 budget. I would spend the most on the 78 and the least on the 91. 1978 – Although you probably can’t get a Silver Anniversary edition for your funds you can do well enough to live out your Corvette Summer(the movie was released this year) dreams. Don’t settle for an L48 with its anemic 185HP. Really, to this day I am puzzled at how you could get so little power out of a small block. Hunt for the L82 and you’ll at least have the power to build up enough speed on the straights to scare yourself with. 1982 – Bye, bye Rochester Carburetor. Say hello to what will be the long-running “Cross-Fire” injection system. 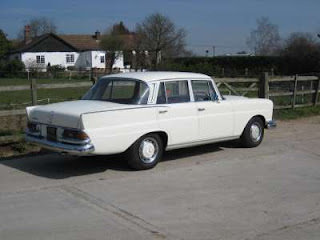 Although horsepower dipped a bit from the L82 torque was up to a useful and hoodlum inducing 285lb-ft. The two-tone colors with glass T-tops are the ones to go for to pin the look of the era. Being surrounded by velour never felt so good. Or sounded so squeaky. 1991 – The C4 Corvette. The door stop. The kinda flying wedge. Whatever you call it the Corvette was growing up. Especially in 375HP ZR-1 form, which you can’t afford. But the base model with 250HP, 350lb-ft is plenty fast. The sports seats plenty space-shuttle agey. Look for the ones with the 6-speed manual to get the lower rear diff for spirited driving. And if you still own a soft-shouldered linen suit than go for one of the tropical colors. Another NY Times byline. This is too much. So, NY Times. You find my words irresistable? So do I. But at least let me clarify what I meant by "dialed in". 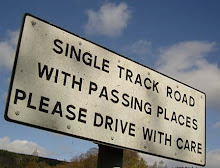 I actually meant, more appropriate to the track. Designed and built for such a circuit vs. choked so that it is capable of making a lap without flying off. The Ombudsman. A great German word for someone who looks after the rights of their citizens. And the below collection of Germanic rides should help look after all your interests. Racing. Rallying. Cruising boulevards with flair. 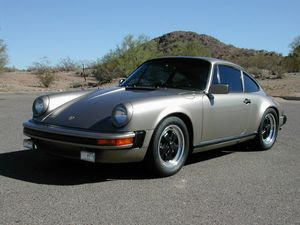 911SC, 1978 to 1983. $15,000 Everyone should own a Porsche 911 at some point in time. And the SC is the one to go for. Gobs of torque in the 3.0 liter. Good sounds from the back end. And please, please get a coupe. That is the classic. 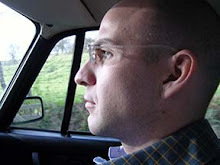 Drive cross-country in it or autocross it. It will enjoy either and so will you. Mercedes 220S “fintail” 1958 – 1968, $6,000 Stylish, swift and quirky what with swing axles and crazy new items like safety crumple zones. The ladies will love the leather and wood interior. You’ll love twin carbs and a nifty column shift if you go for the manual gearbox. Audi Coupe GT 1981-1987, $3,000 The affordable front, wheel drive version of the world conquering Quattros. Perfect for dashing up to Vail or parking in the seedy part of town. A new pollen filter and a new engine air filter? Regarding the pollen filter, these are convertibles and they get dirty inside. Seems foolish that the Boxster has one of these. And the engine air filter is a nice touch, but what about the rest of the 15k, 30k or 60k miles service. So that is a total of $40 of maintenance you did on the car. And tires, you can almost guarantee they are not the N rated tires these cars should get. My First NY Times byline. Kinda. Enlarge the image. Now, look down in the bottom right hand corner. There. See it? A pithy comment on a blog. The oversized quotation marks do make it seem rather official though. Finally Done. Now Buy My Novel. What an absolute relief after five years. My first novel is finally done. Did I mention it only took five years? 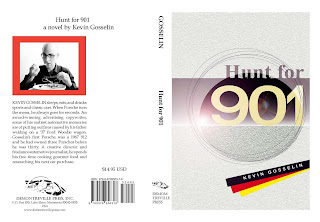 Hunt for 901 is the story of automotive hunter and gatherer Faston Hanks who finds missing cars that others can't. In this case, the Porsche 901. I've gotten a ton of support to help make this happen. From my publisher of course, Kevin Clemens at Demontreville Press. The editors of Total 911, who are featuring an excerpt in their magazine. As well as notes from several other mags. The book launch will be at the Velocity: The Art of Motion show in Hopkins, MN at the end of the month. 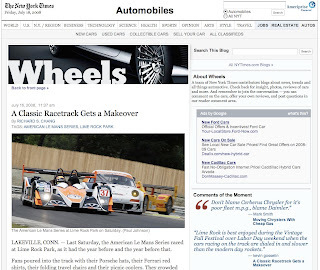 With some follow-up hawking of the book at the Rolex Vintage Fall Festival at Lime Rock in Connecticut. So do go ahead and order a copy up. The perfect read for when you are sick of working on your cars. If. And this is a big if. If I had the money there would be no way I would pass over the paint to sample option provided by Porsche. How can it be that more people do not take up the few exotic manufacturers that offer this service up on it? The British, they have the best word to describe such an option, bespoke. Bespoke, it is a word that should be whispered or said as an aside. 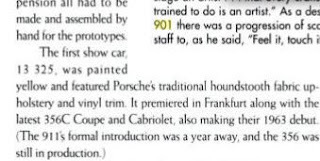 I want a bespoke Porsche. One that is only to my taste. One that is not decided by marketing or color theorists. 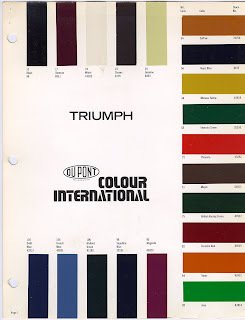 Yes, car companies employ color theorists and color trend analysts. Very sad. Can't even this stage be handled by one's gut and a companies heritage. For example, Porsche's current white is Biarritz White. Why not Racing White? What color would I pick? A pea green. A sickly, seventies pea green. A flat green. A green that would match the dark brown leather I would also choose. Would it be difficult to sell? Not to the right person. 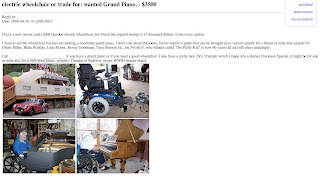 This entry really has everything I look for in a Craigslist post. A barter option. A unique car. Confusing pictures. 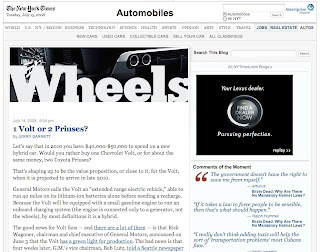 Ok, I clicked through because of the TR3 in the ad. But wow. Trade for a Yamaha piano? And what is a TR3 Harley Davidson special? The car picture is also taken in front of a hot dog shaped hot dog stand in Bailey, Colorado for a little bit of roadside America tastiness. And the final bit of greatness here, the "Philly Kid" nickname given by no less than Sinatra. What time is it? It's Porsche time. I have a problem. 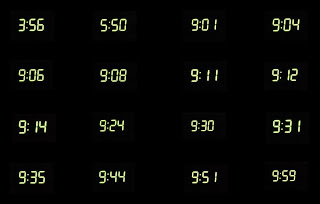 When I check what time is it, I often think of the Porsche model that the time of day relates with. So, I made this desktop image so I can obsess 24-7. Okay. I know getting cars for photoshoots can be difficult, but you need to do more than beg. 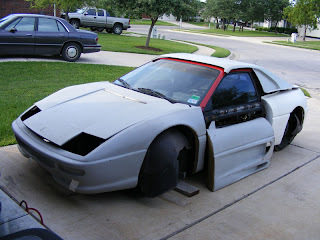 The promise of seeing my car on a fashion website is not all that appealing. Or is it? Is there a scantily clad woman draped across my freshly Zymoled hood? If so, that may change things. Or it might not. And beggars can't be choosers. Notice he only wants newer Ferraris, Porches(sic) and Lamborghinis. So if you have a Miura, don't bother calling. You tart summer sundowner. A drink to be had, yes, when the sun is setting and the heat has abated to the point a seat outside is wanted. Not punishment. And I shamelessly steal the term sundowner from the very, very good novel A Debt to Pleasure. I made my first Gimlet in about eight years. A father of one of my friends used to pound Gimlets of medicinal quality(lots of Rose's Lime Juice). They were never desired. But some fresh lime juice and a distinctive gin can combine to make a super sipper. 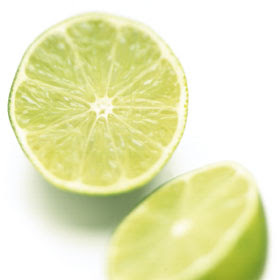 Cut one fresh lime in half, squeeze the entire half of one of these limes into a rocks glass. Top with 2-3, I prefer 3, ounces of Gin. My new fave is from Leopold Bros. Stir, fill to the brim with ice. Enjoy.